Wholesome Hide Rawhide Dog Chews—Made ALWAYS and ONLY in the USA! 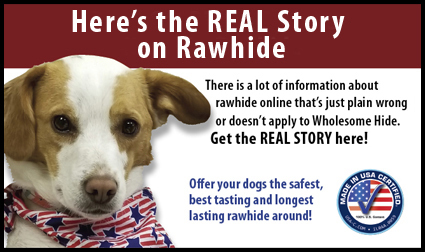 Wholesome Hide is the only rawhide company whose products have been independently certified to be 100% made and sourced in the U.S.A. We sell our products exclusively through small to medium sized specialty pet and feed stores, select grocers and several online stores who carry quality pet products. How do you choose the right rawhide chew for your dog? Watch our video! 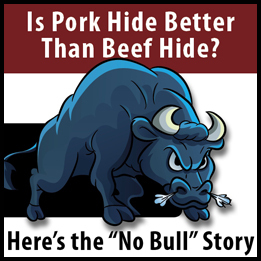 Are you a dealer looking for Wholesome Hide product? If your distributor doesn't carry Wholesome Hide products, we'd be happy to sell to you direct or suggest another Wholesome Hide distributor to work with. Please contact us for more information.